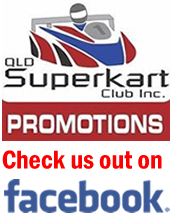 Overall points for the 2017 Queensland Superkart Championship series after 3 rounds. Nuske and McFerran are still the main contenders but Tim Weier, 250 National, and Nick Marshall, 125cc Rotax Heavy, are crawling their way towards the overall points leaders. With 2 rounds and a couple of thousand points still available to go, its still anybodies championship at this point. Probably the best quality 250cc International field assembled since 2012 in Queensland at this event. 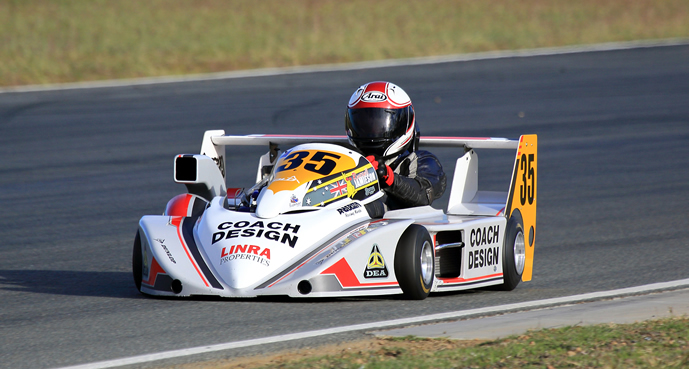 The Redice Racing duo of Ilya and Yiani Harpas from South Australia turned up for some practice for the September event at Queensland Raceway. Neil Faulkner keeps improving in the ex Jamieson championship winning package. Russell Jamiesons new championship contender didn't disappoint. After working their way through ignition problems and setup, Russell broke the previous lap record in race 3 previously set by Jason Smith in 2012. Was a plethora of Anderson / DEA, so great to see. A good field of 250 Nationals greeted the flag. 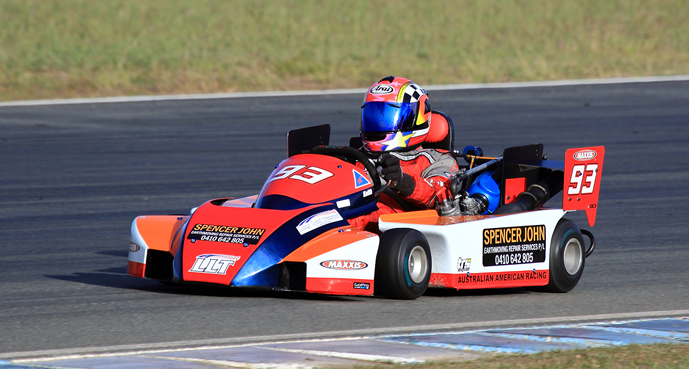 Pellicano came up from NSW but struggled for speed against the Yamaha and Gas Gas powered Superkarts in his KTM. Lewis was quick even though he was trying to find the right balance all weekend. 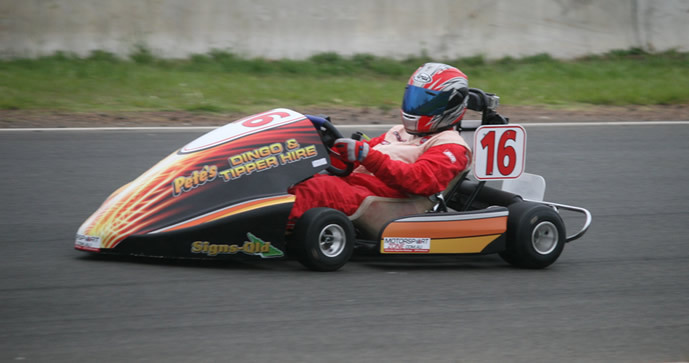 Gareth Crisp was sorting out the third member of Team AGLs kart Adam Ferguson Anderson /Gas Gas instead of racing his ADE/ Gas Gas. Some titanic battles for the lead between Weier, Lewis and Crisp for the lead all weekend. Mark Robin from NSW came up and stamped his authority over the field very early. He is in championship winning form and was rarely challenged all weekend. Tate getting better every meeting with McFerran having a different weekend to the normal dominance we see from him. 85cc was just small field this weekend but that didn't stop these guys having fun. Putting together a solid weekend was Keith Taylor while taking home 2nd was Vice President and life member Drene Jamieson. 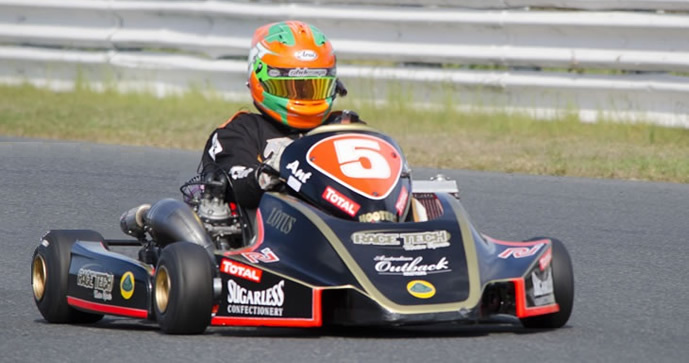 The next meeting in September should be a big field of 85cc Superkarts as many people are buying them up due to there low purchase and running costs. Just 2 competitors in the 125cc Rotax Heavy division. Nick Marshall showed a clean pair of heals mainly due to his adopted father in law, Bob Larance, on the spanners all weekend. 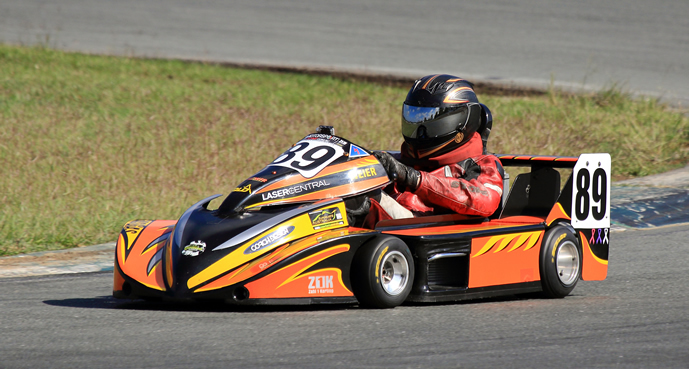 Tim Bliesner is starting to find his way in Superkarts and will be fighting for the lead soon. 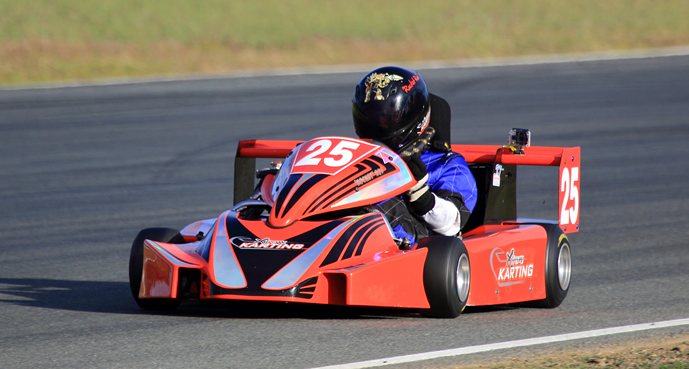 Ross Johnson Photography invites you to view his photos from Round 3 Queensland Superkart Championship at Queensland Raceway July 8 - 9. Photos can be bought from Ross at a very reasonable cost. Enjoy the photos.